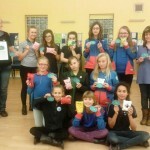 11th NEWPORT GUIDES DEVISE SEWING CHALLENGE. 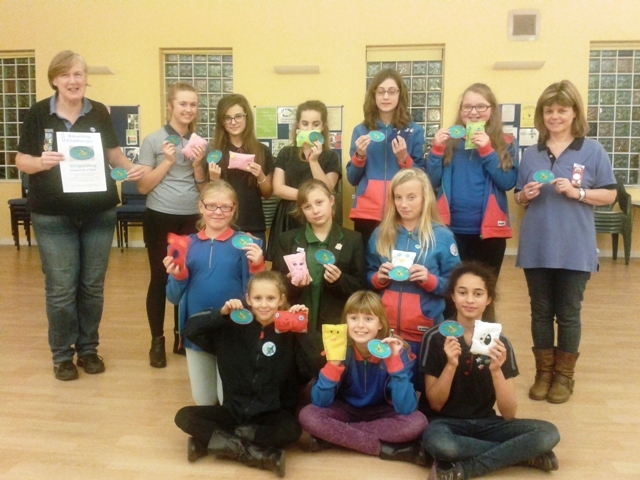 Not only have members of 11th Newport Guides been busy completing the Sewing Challenge but this challenge badge for Girlguiding members has been devised by the unit and is now offered all over the UK and Worldwide. It forms one of the many challenges offered to all ages and abilities in the world of Girlguiding. From threading a needle to basic sewing skills each girl has to complete and make a toy of their choice. Janet Corbett (Leader) said that she was thrilled with skills achieved and was proud to give all girls their challenge badge which she has designed. Janet added, “I do like sewing and I enjoy all home crafts. I wanted to pass on these life skills to all ages and abilities so I designed the challenges and badge. After sending the challenges and badge specification to our Guide Section Commissioner the badge design had to be approved by Guide Headquarters before it could be offered to Guide and Girl Scout Groups across the UK and Worldwide. It is now advertised on the national Girlguiding website pages through Facebook. As well as this there has been a lot of interest locally via word of mouth and e-mails. Uptake has been good for the challenge pack from all over the World and badges have been completed in Sheffield, Leeds, Wales, Australia and of course units on the island. Funding was secured through 11th Newport Guides with each badge now raising money for this unit.